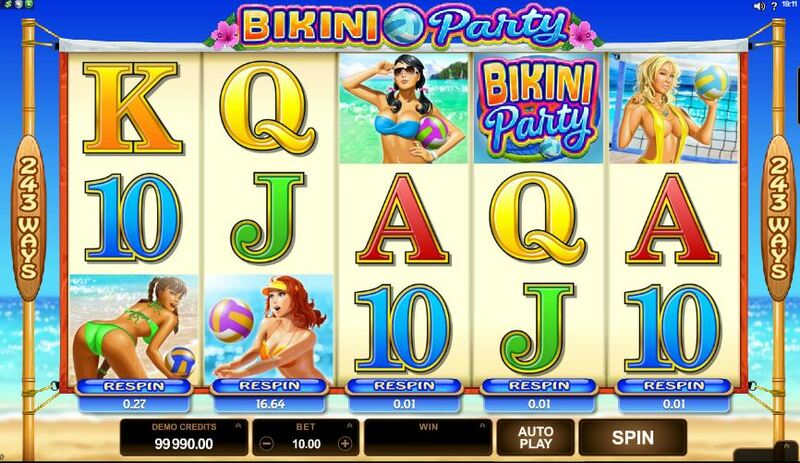 Bikini Party Slot is a more modern day addition to the Microgaming range of 243 way games. There are Wilds on reels 2 and 4 and the theme is some rather pathetic-looking cartoon women in bikinis throwing a beach ball. There are 15 free games at 3x multiplier for 3 or more scatters anywhere, but the slot features a new Microgaming idea – the paid respin. 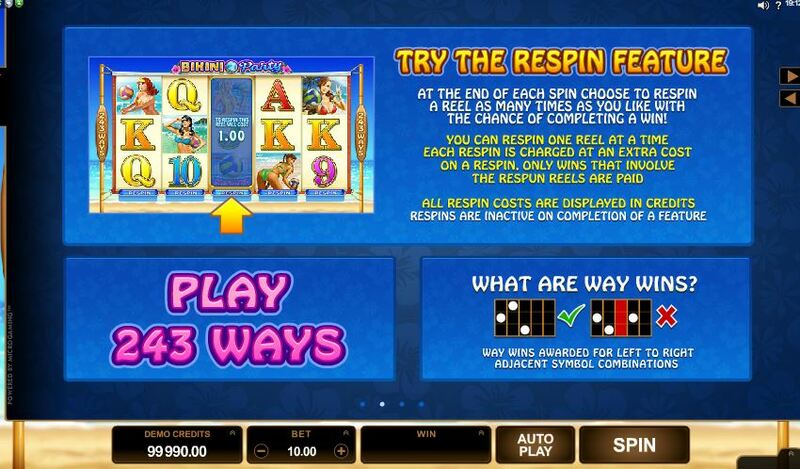 You can respin any reel after any spin for a fixed fee calculated according to its potential. For example you may have high-paying symbols 1, 3, 4 and 5 so the game will sell you a respin of reel 2, for a large percentage of what the win would pay if it came in, say $60 for a spin that would yield $90 if successful. 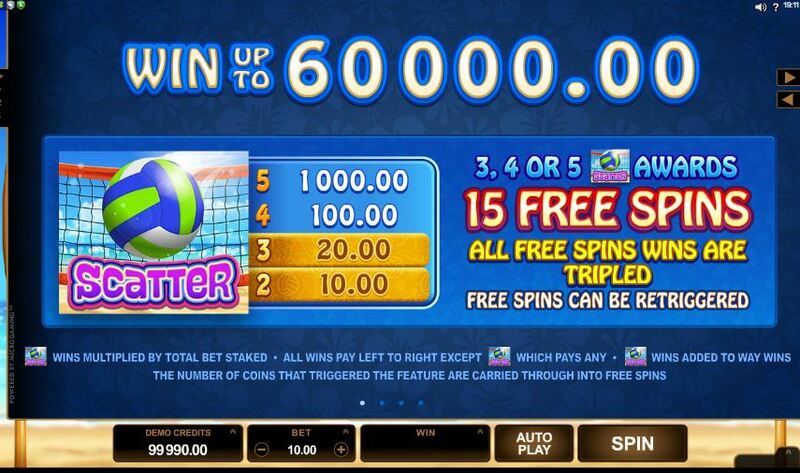 WE STRONGLY RECOMMEND YOU PLAY THE GAME NORMALLY AND DON’T USE THIS IRRESPONSIBLE BALANCE-REMOVING ‘FEATURE’!! Dragon Dance also has the respin facility. RTP is 96.18%.